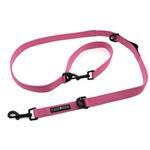 Make your walks easier to multitask with the 6 Way Multi-Function Dog Leash in Candy Pink! Posted On 12/01/17 by Ginny G from Ellenton, FL Yes, Ginny G recommends this product! 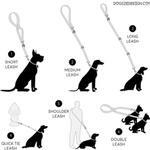 I purchased this hoping to be able to walk my 2 dogs on 1 leash. 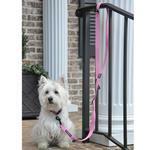 It was a fail for me, as the hooks and leash are a large size and my yorkies are small. So, I passed it on to a friend who has larger dogs and she is loving it. And it's my fault for not paying attention to the size, in the end all good. I am always happy to gift to a bestie. I'm 5'7" and have a Chinese Crested. I'm not able to use this courier style as I was hoping. Even at a tight heel it is too short. 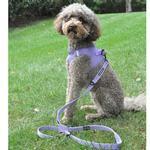 It seems sturdy but is a bit bulky and has a heavy clip if you have a small dog. I don't think leash manufactures take into account the weight of a leash's hardware on a small dog. You can of course use it as a regular leash or to attach your dog to something, but neither is something I care to use it for. Maybe this would work with a taller dog or a shorter person but not for us. Posted On 07/19/17 by Rebecca C from Cameron, IL Yes, Rebecca C recommends this product! Hi! 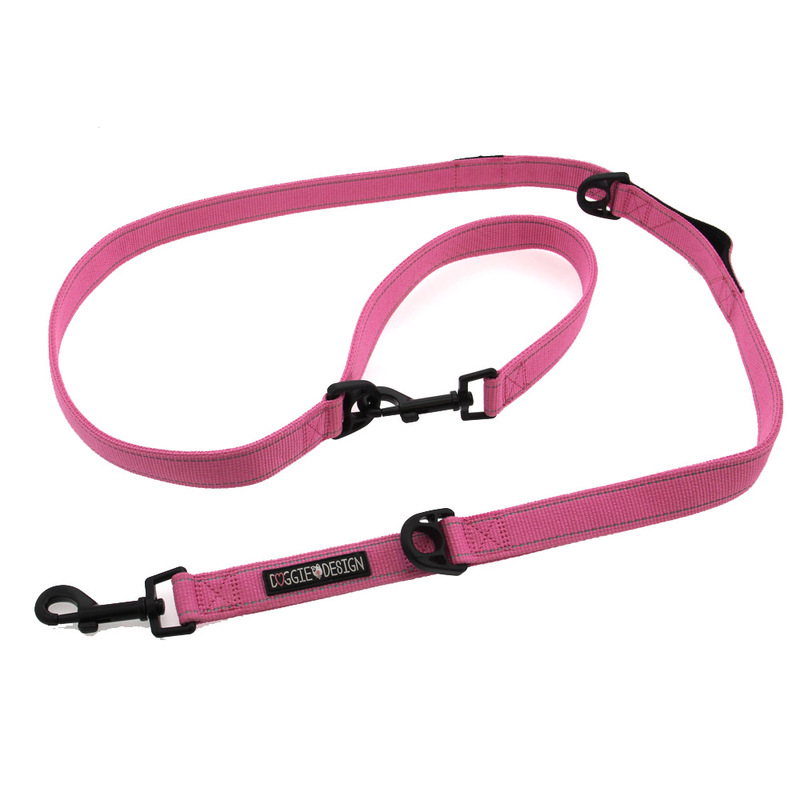 I really like the pink multi function lead. It is great to use when traveling, running errands and at horse shows. 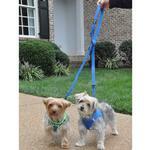 Plus, when Pixie's friend visit we can walk the 2 dogs at once. Plus, in our favorite color pink.